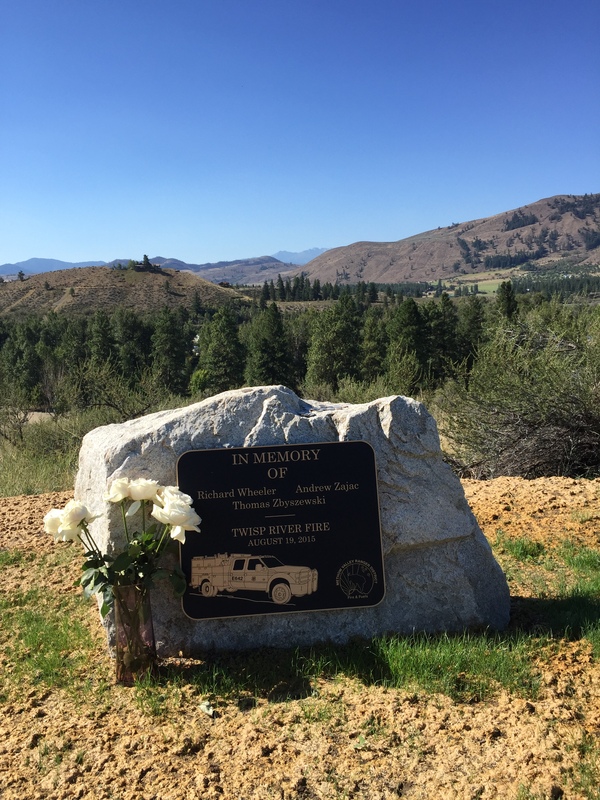 On August 19, 2015, three young firefighters lost their lives in the Twisp River Fire when their truck, Engine 642, crashed and was overtaken by flames. A fourth firefighter was burned over 70% of his body. A Reflection Site at the Methow Valley Ranger District in Winthrop stands tribute to the contributions of these Forest Service firefighters and provides a place for the public to reflect and remember their sacrifices. Visitors to the site will see a rock with a plaque memorializing the three firefighters who died in the Twisp River Fire: Richard Wheeler, Andrew Zajac, and Tom Zbyszewski. 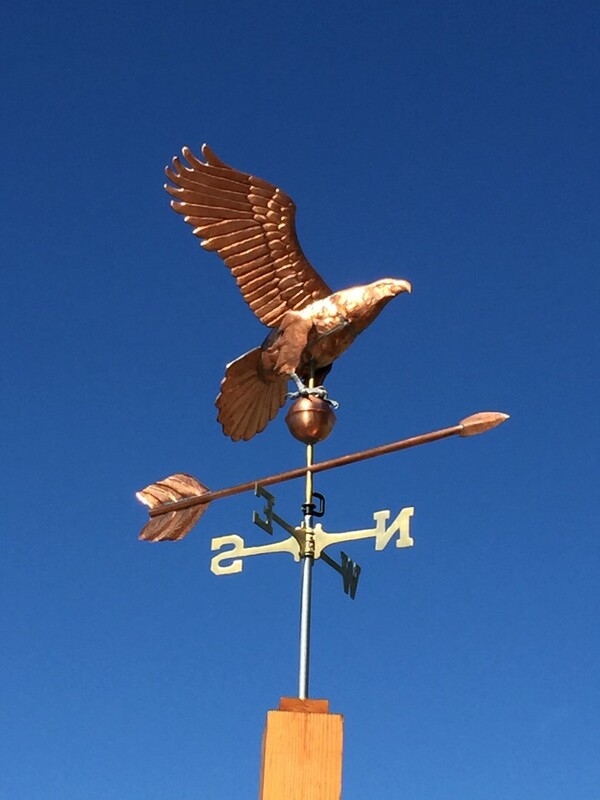 On a bench overlooking the valley, a copper eagle weathervane perches. The eagle, made by artist Jessica da Costa of Copper Maiden Art, carries encapsulated within its heart a small tear-shaped piece of Engine 642, surrounded by a protective layer of clear resin–“a time capsule inside the heart of the bird,” says da Costa. Thank you to the donors who contributed to this project. David Ferro of Ferro Weathervanes is among many anonymous donors who made this project a reality.